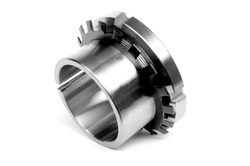 Our range of products include withdrawal bearing sleeves and bearings sleeves. We are offering Withdrawal Bearing Sleeves to our clients. Bearings Sleeves offered can be made available by us in different finish specifications and provides for lasting service support. 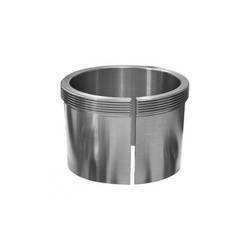 These sleeves find the use for locating bearings with tapered bore on the cylindrical seat so as to allow usage on plain/stepped shafts. Looking for Bearing Sleeves ?